C5 - Altec Products Inc.
Push the remote button to transport your plate between displayed or stowed in seconds. Enhances vehicle aesthetics in the displayed or stowed position. Stainless Steel components and fasteners for long-life. Patented robust design for trouble free operation. 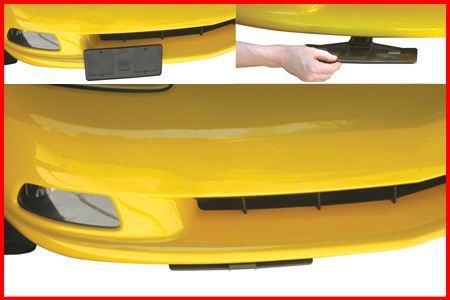 Complete system includes universal mounting hardware. Easily installed by the average auto enthusiast. Complete fasteners for install for C5. A simple one-hand motion to retract and stow the license plate. 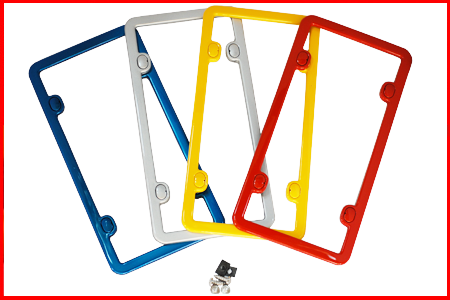 Stainless Steel bracket with glass filled tough polymer plate holder. Complete system includes mounting hardware. Complete fasteners for install on C5. 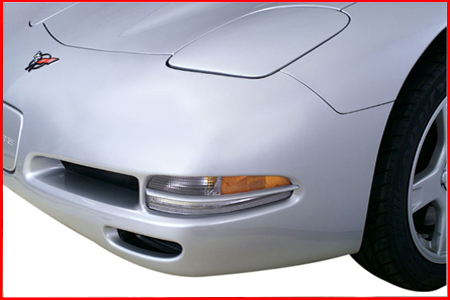 Precision Fit Splash Guards are the perfect complement for Corvettes of discriminating owners. Color Matched Urethane Enamel Finish, or unpainted matted black finish. 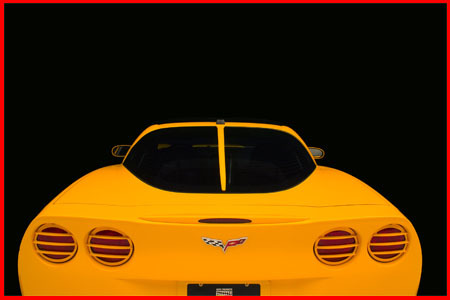 Protect your Corvette’s Finish from dirt and stone damage. Injection molded of high impact polymer. Styled contour accents with body lines. Premium mounting kit includes illustrated instructions, mounting screws and die formed aluminum mounting tabs. 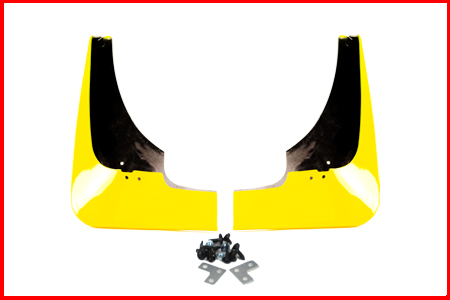 1-set Front or Rear Splash Guards Painted or unpainted. Complete install kit and illustrated instructions. (Color Matched Urethane Enamel) Or (Carbon Fiber Finish). Raised 3-dimensional ribs give dramatic stroked effect. Color matched snap cap screw covers. Color Matched Urethane Enamel or Carbon Fiber Finish. 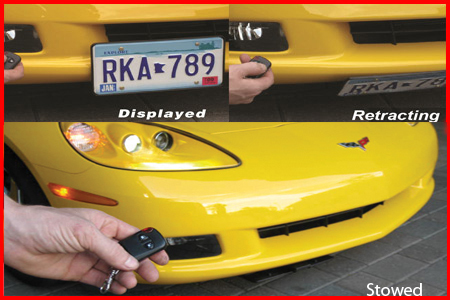 Performance look for C5 Corvette. Hidden fastener screw covers color matched. Set of 4 Taillight Grills. 8 special screw w/ color matched head covers. Our heavy gauge steel Sill Covers are no doubt the finest products of their kind. Available in both high polished show chrome and epoxy powdered black finish. Protects areas prone to wear and tear. Installs in minutes, no drilling. Gives Corvette interiors customized look. Injection Molded of Glass filled high performance composite. 2-piece painted (interior trim and exterior trim). Complete with template for easy installation. 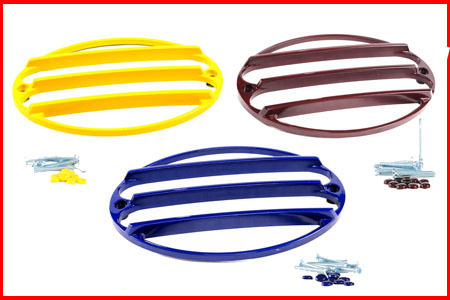 Set of 2 painted color matched interior and exterior trim pieces. Injection molded Glass filled high Performance. 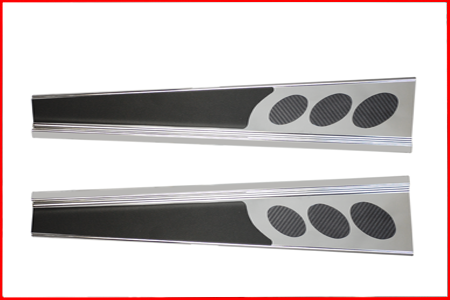 Set of 2 turn signals grills. Color Matched Urethane Enamel or unpainted Matte Black finish. Contemporary Style with hidden fastener system (flush snap cap). 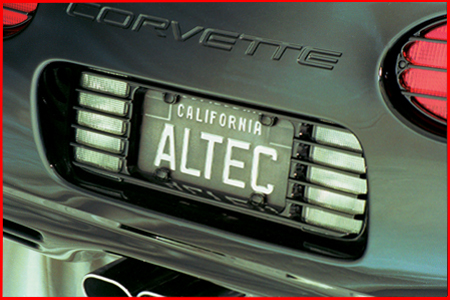 Altec’s Model Zagato License Frame offers differentiated style and quality above the others. Contemporary style with concealed fasteners result in an upscale Dealer Tag that shows you care!